The Warren is the the first piece of music I composed for brainwave control. It uses the SSVEP eye gazing technique but was pretty bulky to transport for performances as it required a desktop computer with two monitors, a laptop PC and a lot of EEG hardware. It was first performed at the Arnolfini in Bristol in 2011, then at the Peninsula Arts Festival in 2012. The move towards a more portable, cheaper and accessible system formed the basis for the next piece I made after The Warren, Flex. The music was inspired both by nature recordings I was making at the time, whilst I was living in the Mendip Hills in Somerset, as well as early electroacoustic pieces I was discovering, such as Valley Flow by Dennis Smalley, and the recordings of Chris Watson. 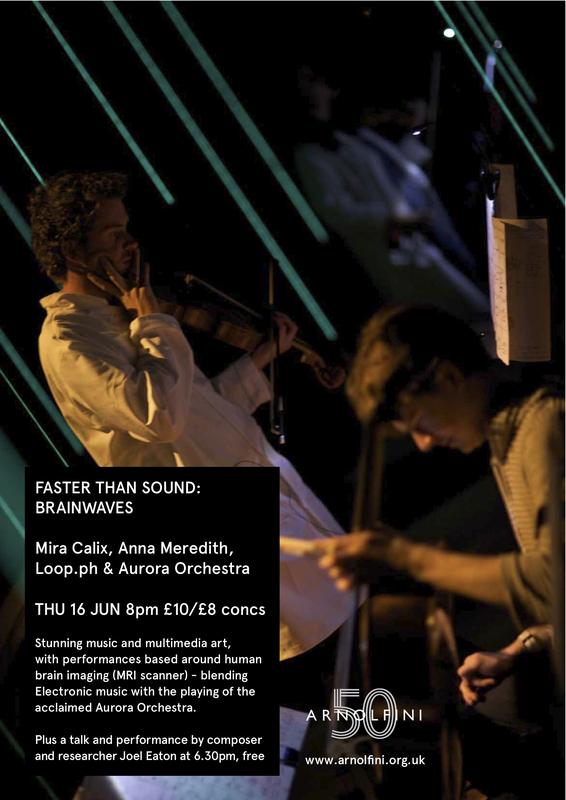 NeuroSymphonics – ‘The Warren’ Performed live at the Arnolfini, Bristol UK 16/6/11 from joel eaton on Vimeo.